Hi, I’m Liz Delmont from Liz at Lancaster Guesthouse in Craighall Park, Johannesburg, Gauteng. 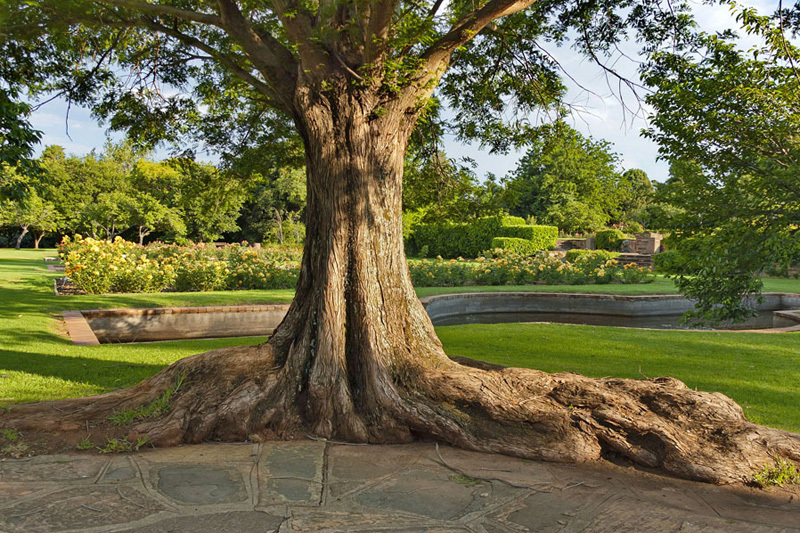 Craighall Park IS BEST KNOWN FOR best known for its great central location in the huge sprawling city of Joburg. 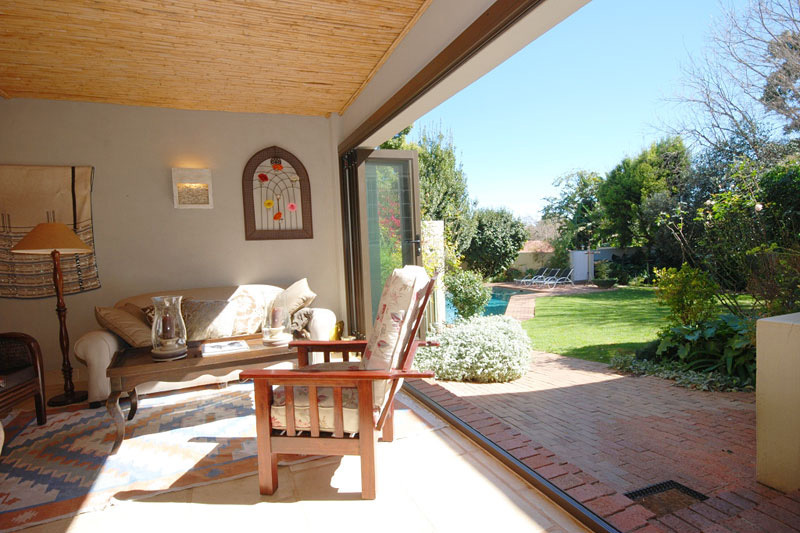 It is an ideal base for the business and leisure traveller as it’s 10 minutes from Sandton as well as Joburg Central and close to restaurant and shopping nodes of Rosebank & Parkhurst. GET YOUR PICTURE TAKEN with either with Zac and Catherine who work here at Liz at Lancaster Guesthouse, or with random passers by in a Joburg street – no picture will better capture the spirit of generosity and friendliness of South Africa than these, I promise! 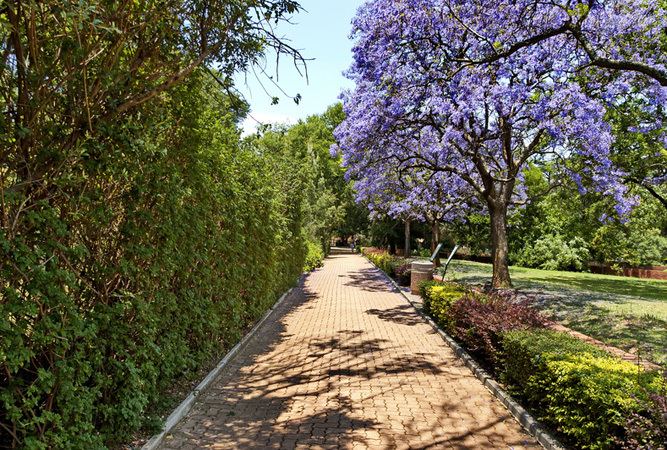 THE BEST PICTURES of Joburg’s urban forest (the largest in the world) CAN BE TAKEN from the top of Munro Drive in Houghton and the best photos of flowering jacarandas (late October / November) can be taken in the suburbs of Saxonwold, Parkview and Westcliff. OTHER HAPPY SNAPS taken at the many game parks and reserves around Joburg. There is the Rhino and Lion Park in the Cradle of Humankind; the Ann Van Dyk Cheetah Centre at De Wildt near Hartebeespoort Dam; the Elephant Sanctuary also near Hartebeespoort Dam; and the Pilanesberg Park, home to the big 5 and a jewel of a game park, amongst others. 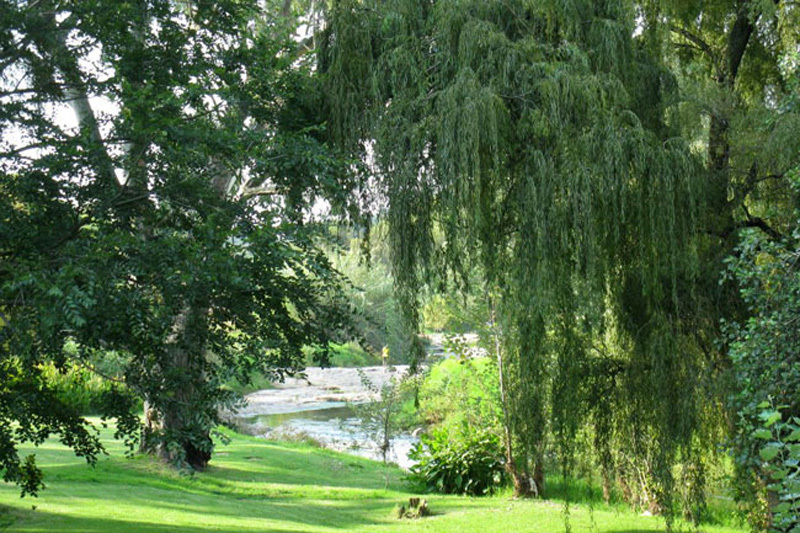 WHEN THE WEATHER’S GOOD, I LIKE TO walk through Delta Park – 104 hectares of parkland and dams in the heart of Craighall Park. WHEN THE WEATHER’S BAD, I LIKE TO catch one of the Arthouse movies at Cinema Nouveau in nearby Rosebank. I THINK THE BEST TIME OF YEAR TO VISIT IS either the hot summer months or March / April, BECAUSE the autumnal weather is beautiful, with clear crisp days, cooler evenings and everything is lush and green after the summer rains. Joburg is known for having one of the best climates in the world – even winter days bring clear blue skies although it can get bitterly cold in the evenings. So make sure that if you visit between June and August, you bring warm clothes. MY FAVOURITE BREAKFAST SPOT IS Vovo Telo on 4th Ave Parkhurst – reasonable prices, a great buzz and a fun pavement eatery location where you can watch the passers by. In summer Hodges at the Colony, Craighall Park is great (in winter it doesn’t get the morning sun so can be a bit on the chilly side). FOR LUNCH, I SUGGEST Cnr Café on Buckingham Ave, Craighall Park – voted one of Joburg’s best neighbourhood restaurants. I have sat at one of the outside tables on a summer evening and watched a spectacular Highveld electrical storm come in from the south-east – dark black clouds and dramatic lighting bolts. You have to experience a Joburg summer storm! MY FAVOURITE RESTAURANT IS DW 11-13 in the Dunkeld West shopping centre, voted in the top 20 SA restaurants. I have foodie guests who come all the way from Pretoria Accommodation and spend the night here at Liz at Lancaster, in order to have a meal there. Identifying a favourite restaurant in or near Craighall Park is really difficult though, as we are so spoilt for choice. BEST LATE NIGHT SNACK FROM Jolly Cool opposite the somewhat tired and rather grubby but famous pub the Jolly Rodger in Parkhurst – average age about 18 but one of the few places in the suburbs where you can satisfy those late night hunger pangs. MY FAVOURITE SPOT a good pasta IS at Bottega in Parkhurst and although I am not a frequent meat eater, there is a specialty ‘steak corner’ in Parktown North on the corner of 7th and 3rd Aves where you have a choice between Wombles, The Local Grill and Turn and Tender – all serve superb South African steaks. My special spot for Indian food is Fordsburg. Don’t expect restaurants with ambience but the excellent home cooking, subtle spicing and amazing value for money, makes Fordsburg a great place to eat. Try Al-Makka,52 Central Rd or Bismillah’s, where the Indian cricket team eat when they are in Joburg. Their chicken korma is to die for. 76 Mint Rd Cnr Bree. All alcohol free though. FOR A NIGHT OUT ON THE TOWN a glitzy and trendy one TRY Katzy’s at the Grillhouse, in The Firs, Rosebank, where expensive whiskey and cigars are the order of the day. But for somewhere less moneyed, and with a greater sense of history, as well as great live music, I love the Radium Beer Hall in Orange Grove – the oldest surviving bar and grill in Johannesburg. There is a wonderful atmosphere and they serve great chicken livers peri-peri. IF YOU WANT TO MEET LOCALS, GO TO go to Giles in Grafton Ave, Craighall Park – it’s a great TGIF watering hole and it pumps on a Thursday and Friday evening. Craighall Park’s BEST KEPT SECRET IS that despite being an urban location, on our quiet summer nights we can hear the Cape Eagle Owls calling. In the very centre of Joburg, an urban metropolis, how special is that? MY FAVOURITE THING TO DO WITH FRIENDS IS to pack a picnic on a warm Highveld winter’s day and chill out on the lawns at Emmarentia Botanical Gardens. They also have Sunday concerts during winter and in summer you can watch the canoeists practicing on the dam. It always reminds me of Seurat’s Post-Impressionist painting, Le Grande Jatte. I also enjoy joining friends at one of the urban markets – either Neighbourhoods Market in Braamfontein on a Saturday, or Arts on Main on a Sunday. And on Tuesday evenings nearest to full moon, the Bryanston Organic Market runs a moonlight market which is quite magical – not to be missed. 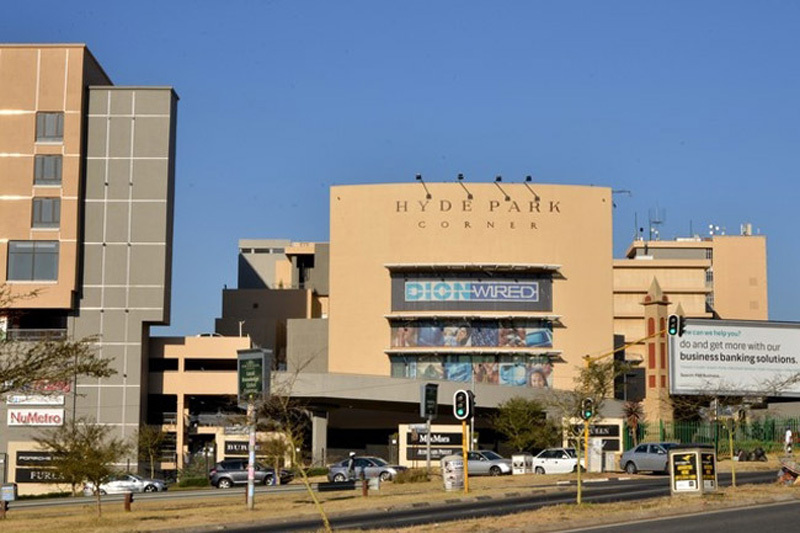 FOR SOME CULTURE catch a play at the Market Theatre or the Joburg Theatre (both 10 minutes from Craighall Park). Opening in 1976, the Market Theatre achieved international recognition in the 1980s as the theatre of the struggle. It continues to show challenging and thought provoking theatre. The Joburg Theatre often has more popular but also good quality shows. If it’s art you want, your first stop would have to be the newly opened WAM or Wits Arts Museum on the corner of Jan Smuts and Jorissen Sts in Braamfontein. After a decade of planning there is finally a space to show the Standard Banks African Art collection. It’s a great new space and a wonderful addition to the City’s cultural mix. 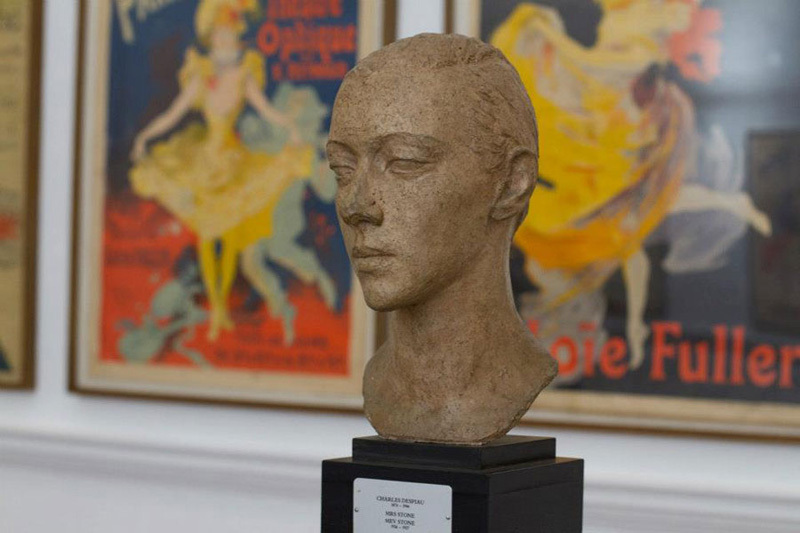 For more contemporary South African art visit the various galleries on the art strip in nearby Parkwood. The Goodman Gallery is probably the most prominent of them all. Note though they are closed on Mondays. TO RELAX AND RESTORE MY SOUL, I LIKE TO have a day’s spa treatment at Hands on Retreat, a little haven in Craighall. IF YOU’RE FEELING ADVENTUROUS, TRY falling from the Cooling Towers in Orlando, Soweto – 30 minutes from Craighall Park. You can either bungy jump in a 40m free fall or try the swing between the towers. Rather you than me! But Soweto is fascinating and a ‘not-to-be-missed-experience’. At Liz at Lancaster we only use guides who live in Soweto and who run small tailor made tours. One of the best ways to see Soweto is on a bicycle. MY FAVOURITE WALK IS along the Braamfontein Spruit on a Sunday afternoon when small groups of African Independent Church members chant and dance to the beat of drums in their open-air ceremonies. I love the mix of dog-walkers, cyclists, joggers, bird-watchers and worshippers all of whom use this same outdoor space. MY FAVOURITE place to buy exquisite African art and artefacts is IS at Kim Sacks Gallery in Parkwood – a treat indeed. For smaller items and fun gifts, Art Africa in Parkview is my downfall. MY FAVOURITE people WATCHING SPOT IS at one of Rosebank’s outdoor restaurants near the Zone – you’ll see all the fashionistas and trendoids passing by. 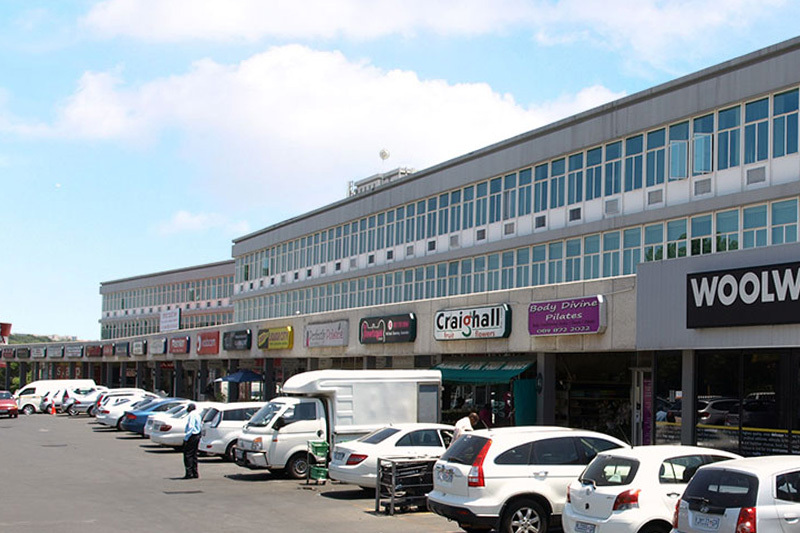 There are several malls in Rosebank: The Rosebank Mall; the Zone; The Zone 2; and the Firs. They are separate but all inter-linked through outdoor piazzas filled with restaurants, bistros and eateries. And on Sundays the now well-known Sunday Rooftop market dominates the Rosebank scene. IF YOU’RE HERE IN September, JOIN IN THE FUN AT the Arts Alive Festival including Joy of Jazz at the Zoo Lake. MY FAVOURITE MUSEUM IS Origins Museum at Wits University. It is an excellent museum focusing on the Origins of humankind (so of you can’t get out to the Cradle of Humankind, this is the next best thing) and there is a good gift shop as well as a coffee shop. CHECK OUT THE Walter Oltmann’s wire sculpture in the foyer. Not far away, is Constitutional Hill, a site colloquially known as Con Hill. It’s a fascinating but tough site with the Old Fort and Prison complex and the uplifting new Constitutional Court. 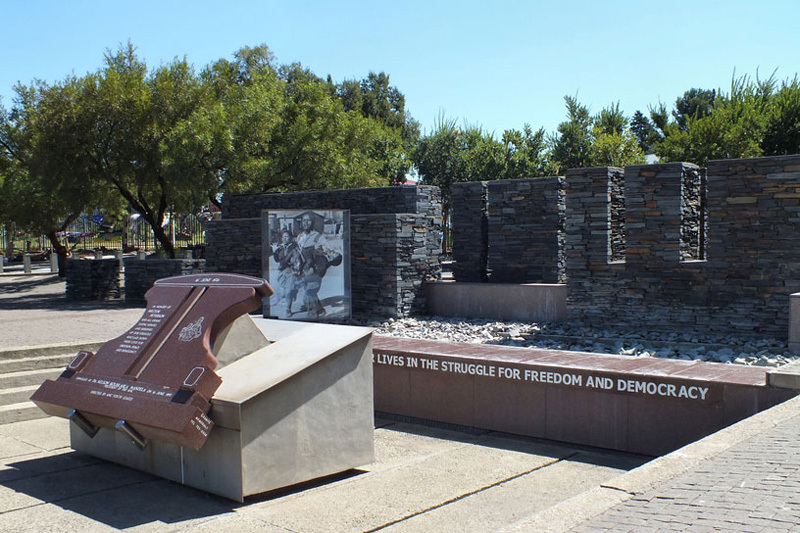 It gives a really good geographic orientation to Johannesburg and an excellent historical overview from Colonial times through to the democratic South Africa (Hourly tours 9-4 weekdays and 9-12 on Saturdays. Closed Sundays) Corner Kotze St and Hospital St Braamfontein. MY FAVOURITE BUILDING IS the Everard Read’s Circa Gallery in Lower Rosebank, FOR ITS great elliptical design, wonderful exhibition space and fabulous upper deck – and of course the outdoor sculptures are amazing. It has some really interesting exhibitions but the building alone is worth visiting. There are some interesting historic buildings in Parktown, home to the Randlords of South Africa in the early 20th Century. And of course a wonderful example of industrial heritage is Anglo-Gold’s refurbishment of the old turbine hall in Newtown. TRAVELLING WITH CHILDREN? A FUN OUTING IS for older children is the Sci-Bono Discovery Centre in Newtown – a great science museum for all ages. For younger kids go to Smudge a children’s art centre in Craighall Park with an interactive music room, children’s book lounge, dress-up area, party room and a coffee shop. BEST CHEAP AND CHEERFUL OUTING IS to go to a winter concert at the Walter Sisulu National Botanical Gardens. And I love walking up to the waterfall and seeing the black eagles nesting. There are also winter Sunday concerts which are great. WHEN MONEY’S NO OBJECT, I LIKE TO go the Westcliff Hotel and have a glass of wine on their terrace at sunset – it’s particularly spectacular in late October / November when all the jacarandas are blooming. But you have to book in advance. THE MOST UNUSUAL THING I SEE HERE IS is people horse riding through Delta Park, and then coming home to the local stables, a mere 5 blocks from Liz at Lancaster Guesthouse . How can you go for a walk in 2012 and see horses coming up the road in a Joburg suburb that is less than 7km from Sandton Central Business District? I love it! MY FAVOURITE WEEKEND GETAWAY IS to take a 30 minute drive out to the Cradle of Humankind and have a long lazy lunch at one of the great restaurants there or to join one of the tours of the various archaeological digs in that area – truly fascinating. WHEN I WANT TO GIVE BACK TO THE COMMUNITY, I join in a clean-up campaign of the local section of the Braamfontein Spruit, teach classes to English Second Language speakers, and support the activities of the local residents’ association. 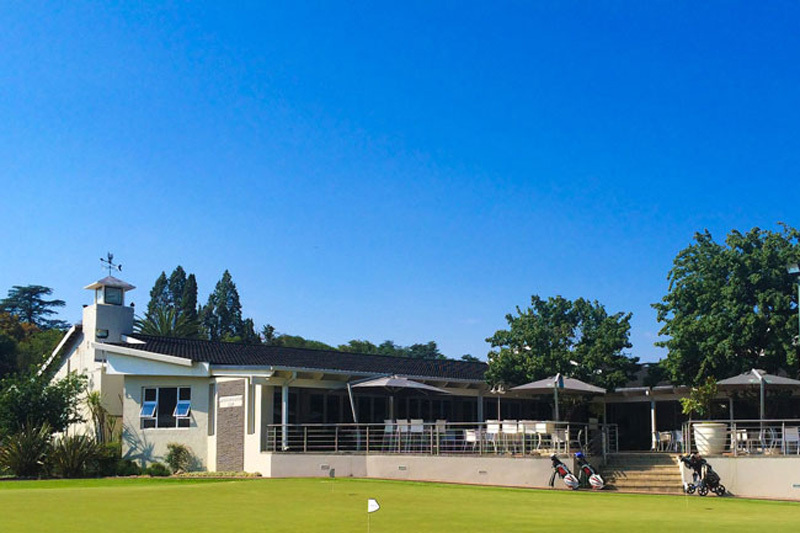 I Love Craighall Park BECAUSE it is one of Joburg’s old established garden suburbs in the Parks region with easy access to restaurants, theatres, local shops and shopping malls, galleries, golf courses, parks and open spaces. We have a great mix of suburban tranquility and urban convenience … and that’s why I have lived here since 1973!